The Turbo Series is set for February 3-17 and features 114 events over the 15-day schedule. All of the scheduled tournaments will be played under Turbo and Hyper Turbo formats, promising quick action and a speedy pace. There is a certain segment of the poker-playing population that believes that the game of poker tends to move much too slowly. That’s why Jackpot Poker games such as PokerStars Spin & Go have become so popular – the game is typically over in a matter of minutes. While the MTT events in the Turbo Series certainly will take longer to complete than Spin & Gos, the tournaments won’t fall victim to the long and drawn out events that have become much too common at some poker sites. Extended registration periods and blind levels that are exceedingly long have been often heard complaints among online poker players. Those types of complaints will be non-existent in the upcoming Turbo Series, the second annual running of the festival. The Turbo Series ran for a number of years under a previous name – the Turbo Championship of Online Poker (TCOOP). Previous TCOOPs and last year’s Turbo Series offered guaranteed prize money of $15 million. 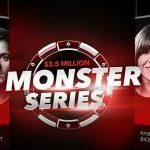 The boost to $25 million is a most welcome increase for players, as is the dozen additional events included in the Turbo Series schedule. Two separate Main Events promise $3 million in combined guarantees. Both Main Events will be held on February 17. 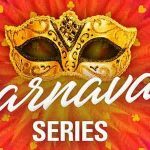 Buy-ins of $55 and $1,050 are required for entry to the Main Events, with plenty of satellites on offer to grab a seat for much less. Also new to the 2019 Turbo Series schedule will be two additional $5,200 High Roller tournaments, a boon to high stakes players who prefer the quickened pace of turbo contests. 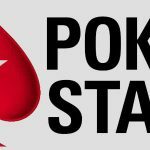 PokerStars has apparently done some tweaking to the starting times of several key events, which will likely make for increased participation and bigger prize pools – a win-win all the way around. Players who typically play for lower stakes shouldn’t be scared away by the High Roller and Main Event entry fees. Buy-ins for the Turbo Series begin at a mere $11, with plenty more options in-between the low ($11) and high ($5,200) levels on the entry fee spectrum. Special Turbo Series Spin & Gos starting at $2.50 are also available, permitting players to qualify on the cheap for larger buy-in events. 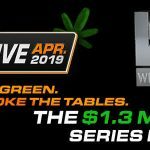 The Turbo Series kicks off a massive February planned at the world’s largest real money poker room. All told, more than $75 million in guaranteed prize money will be paid to players throughout the month. That includes the running of special anniversary events focused on the Sunday Million and the Sunday Storm. PokerStars appears to be the place to be for February online MTT action.